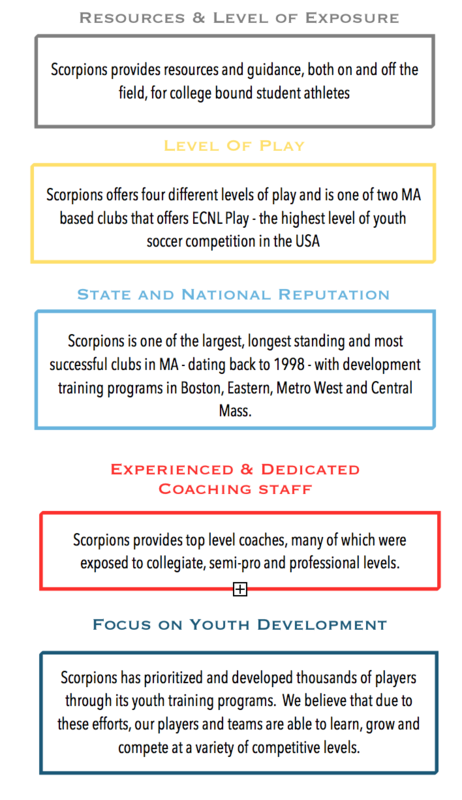 As one of the longest serving elite soccer clubs in the Massachusetts, Scorpions Soccer has established a proven pathway for all players looking to take their game to the next level ! 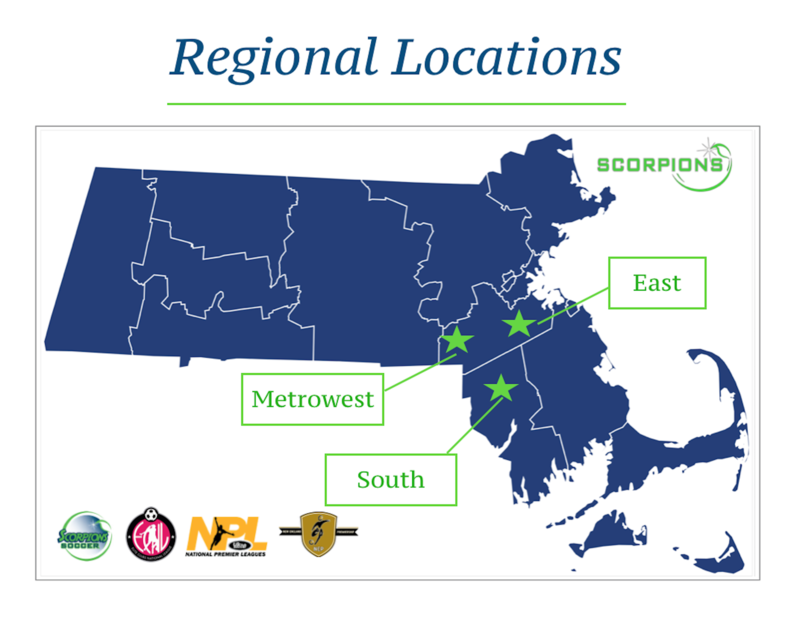 Scorpions are one of two clubs in Massachusetts that provides four (4) different levels of competition for its members. Scorpion's top teams compete within the Elite Clubs National League (ECNL), our second teams play in the National Premier League (NPL), while our regional teams currently compete in the selective groups of New England Premiership (NEP) and the New England Championship (NEC). Why Join Scorpions Soccer Club ? Cognition - Ability to percieve, concieve and assess soccer situations. Competence - Developing a players ability on the ball / movement without the ball while understanding the teams principles / positional / system of play. Character - The driving force behind helping to develop positive, respectful, ambitious, dedicated and resilient young men and woman. If you are interested in joining Scorpion's Soccer, please contact your Regional Director to arrange an assessment day and find out more information.